Like a lot of books on landscape design, Julie Moir Messervy’s Home Outside is filled with fabulous gardens, patios and yards. Unlike many design books, Messervy makes all that fabulousness seem attainable, even without a full-time gardener or a six-figure landscape budget. 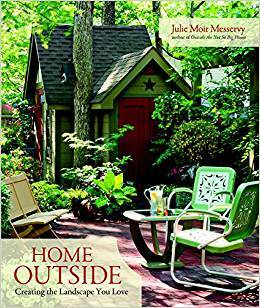 Home Outside is first and foremost a hands-on guide to creating a comfortable, personal and livable landscape, with the genial Messervy leading the way. Throughout the book, Messervy highlights how real homeowners have used these ideas to design their landscapes. While many of the sample landscapes look expensive, a few – including the last example that pulls all the book’s ideas together – seem plausible for homeowners with a modest budget, a few skills and a long-range vision. Beyond the book’s examples, it contains useful features for do-it-yourself landscapers, such as personality and style tests and illustrations of how one landscape could be designed using six styles. I wrote about this when I first read the book in 2009, but I’m still enamored of Messervy’s concept of naming your landscape, and using that name to unearth your design style. Whether you are planning to tweak a landscape design you love or rip everything out and start over, Messervy’s book offers direction for your dreams. 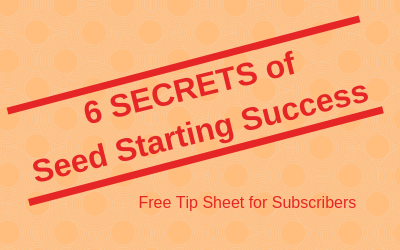 It may help you figure out what you really want, or just give you some new tools to realize your ideas. This is a timely and interesting book review, Mary. I’ve begun studying many areas of building and living in a new home in northern Wisconsin. We’ll be moving there in about five years when my DH retires. Our place is in a forested area on a back bay to a large lake. I’d like to “landscape” our lake frontage and the areas around the new home when it’s built and the old existing cottage. No lawn! But definitely with a small vegetable garden and lots of native plants. Our location will also require us to protect our plants from foraging by critters like deer and black bears. As for using the outdoors as an extension of the home itself, well, the only way is to build a structure with lots of screening. Otherwise, we’d be eaten alive by mosquitoes. I’m definitely going to read this book, looking for ideas that will fit our circumstances. Thanks for the recommendation! I often read and enjoy your blog; we enjoy many of the same books, and I appreciate the recommendations and good homesteading info. (I also figure that if a plant does well for you in Minnesota, it will probably survive here in Vermont!) I was compelled to comment on this post because I happen to work for Julie Moir Messervy (who is always thinking up new ways to make good landscape design accessible for regular folks). I also love this book and return to it again and again for advice and inspiration. I know she’ll appreciate your blogging about it! Please come visit our blog at http://www.jmmds.com/inspire/blog/ if you have a chance. Cheers! Donna — Thanks for commenting! I agree about the need for screening in our climate. Sarah Susanka (the Not so Big House author) says that in Minnesota, a screened porch is essential. Totally agree — though I will not put our next screened porch on the west side of the house. Jennifer — Glad you enjoy the blog — and thanks for commenting!